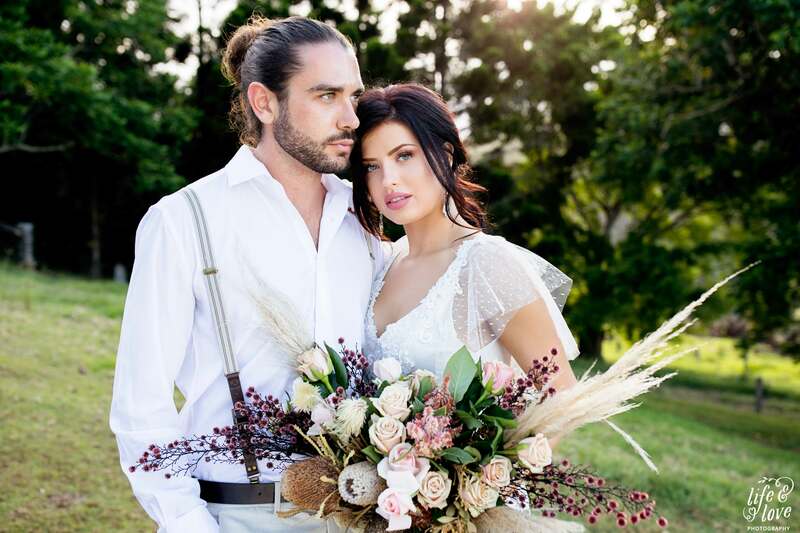 Evoque Makeup Artistry’s Sunshine Coast team are here to make you look flawless on your special day. We specialize in glowing skin, eyes that mesmerise and hair styles that WOW! Evoque Makeup Artistry have been bringing a little wedding day hair and makeup magic to brides for over 10 years. They believe in the importance of curating only the best, high end products to ensure your wedding day styling is everything you imagined it would be. Fresh, flawless, natural or glam; whatever look your heart desires for your special day, they can bring that vision to life. There is nothing they love more than bringing out the natural beauty in each and every bride. The team at Evoque Makeup Artistry love weddings and their passion is evident in everything they do, from each curl created, to every stroke of the makeup brush. Their lead bridal makeup artist and stylist, Ella Asher, has trained with some of the best in the industry including, Emma Chen, Mia Connor and celebrity makeup artist Mario Dedivanovich (Kim Kardashian's makeup artist!) , which means you are in the best hands on one of the most important days of your life. They offer a bespoke bridal hair and makeup service where you are ensured a seamless experience from the moment you make contact, right through to the moment you walk down the aisle and beyond. Each member of the team understands the unique needs of a bride on their wedding day and your experience will be tailored to meet your individual needs. Their aim is to provide you with the highest quality finish, without breaking the budget. You can view more testimonials from brides, here.